Blues night is a laid back Sunday night gig where people come to learn, dance, enjoy great music and socialize. Your first lesson will give you the skills to get onto the social dancing floor and have an amazing night straight away! 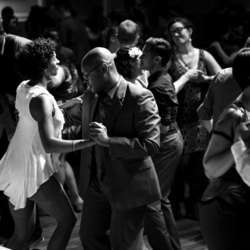 The music ranges from rhythm & blues, blues & roots, slow swing, slow jazz, soul and a hint of gospel, trip-hop and more! Blues night often has the privilege of live music which adds amazing energy to the room. For new people & swing dancers who have never done blues dancing before. You will learn all you need to get onto the social floor, loads of moves & different styles. Enjoy great music, dance and socialise. The music ranges from rhythm & blues, blues & roots, slow swing, slow jazz, soul and a hint of gospel, trip-hop and more! Blues night often has the privilege of live music which adds amazing energy to the room. Expect good times.